How to be a Drama Mama — in a GOOD way! Leave it to my friend, Arlene Pellicane, to find a positive example of drama. I asked the popular author and speaker to be my guest blogger this week and she shares a fun, encouraging story about how resorting to dramatics actually HELPS your family, not hinders it. Here’s her take on how to be a drama mama — in a good way. I opened a kitchen cabinet overhead and a bowl crashed to the floor. I screamed loudly – very loudly! You would think a burglar had jumped through our window carrying a gun by the way I reacted. The kids rushed into the room. “What happened?” they asked frantically. This moment wasn’t about having dramatic kids. It was about being a dramatic mom! The bowls had been stacked too high and when I opened the cabinet door, one bowl gave in to gravity and fell. It really scared me, but I could certainly see how I totally overreacted. I needed to dial down the drama. Sometimes our dramatic outbursts are caused by silly things. Sometimes they are caused by real difficulty. 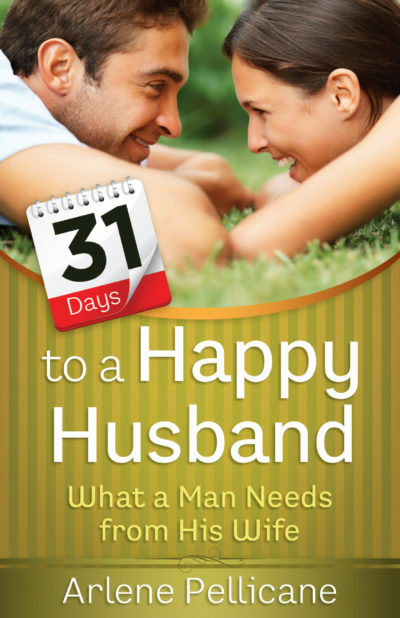 In my book 31 Days to a Happy Husband, I write about Doug, one of my husband’s grad school buddies who spent 13 months in Baghdad as an Army Chaplain. His wife Ally had their three young children to take care of. You can imagine the challenge of parenting alone coupled with being concerned about your deployed spouse. But she did something dramatic that strengthened – not weakened – their home. She made a 6 foot “Flat Daddy” out of corrugated foam board with Doug’s head and body on it. Ally would take the foam board “Flat Daddy” wherever they went – in the van with the kids, to baseball games, to school. She would take pictures of the kids hugging and kissing “Flat Daddy” in all the different places and email them to Doug. Since they couldn’t have the flesh and blood daddy, they brought along the cardboard daddy instead. By making memories with that life sized photograph, the family kept Doug front and center on their hearts. And Doug felt extremely touched to be a part of their everyday lives while he was gone. What an amazing example of good drama! Ally turned something hard, her husband’s absence, into an occasion to create joy and connection. She was dramatic in the best sense of the word. When we find ourselves in a hard place, why not look for ways to create positive drama like Ally did instead of negative drama? Drama plays into our day-to-day conversations as well. Here’s an experiment you can try at home. Go into the bathroom after you’ve talked to your husband or children about something that has you upset. Pretend you’re still talking and reenact a few lines from the conversation while looking at yourself in the mirror. Pay attention to your facial expressions, gestures and voice. Maybe you’re talking really fast or you look like you’re trying to land a 747. With his experience of hosting Family Life Today on the radio, I asked Bob Lepine about the effect of too much needless drama on a husband. “The amount of passion a woman will express about a viewpoint or about what she’s feeling is often disproportionate to what’s really going on inside of her. He’s thinking this is a huge deal, when it’s not a huge deal. It’s just how she communicates. She’s a drama queen. Everything’s a huge deal, right? So it puts her at a disadvantage. How do we know when something really is a huge deal when everything is a huge deal? As we talk with our spouses and children, it’s helpful to dial down the drama. Every issue in life doesn’t have to be punctuated with a frantic exclamation point. Save those dramatic presentations for the really important stuff. And remember Ally’s example of using drama for good. Instead of whining dramatically, praise dramatically. Connect dramatically. You won’t win an Academy Award for your performance, but your family will certainly thank you and that’s what counts! on How to be a Drama Mama — in a GOOD way!. I am excited and captivated as I read the introduction of Cindy’s work and the impact of her teaching, and books​ in the life​of many families and individuals, I pray the Lord gives her more insight and inspiration,. Can I have the opportunity to her contact address,.. with lots of Love. Thank you. You can reach me at Cindi@StrengthForTheSoul.com.